Tens of thousands of war widows cannot be reached due to a lack of funds, say officials, despite efforts to help them adjust to life after the conflict in northern and eastern Sri Lanka. There are 89,000 widows in the north and east, Mohamed Hizbullah, the deputy minister for child development and women’s affairs, told IRIN. He said the government was providing 800 women in the eastern town of Batticaloa with self-employment training. The programme would be expanded to nearby Kilinochchi by the end of the year, he added. The UN Industrial Development Organization has put aside US$800,000 to fund microcredit and small business support to widows. “There is a huge need for providing sustainable livelihoods for thousands of widows and we are doing our best,” said the agency’s national programme coordinator, Sarath Abeysundara. More than 17 months after the decades-long civil conflict was declared over, accessing all the widows is proving difficult. One factor is the lack of comprehensive data on the numbers of widows, said Ivan Rasia, a senior officer with the US Agency for International Development (USAID). 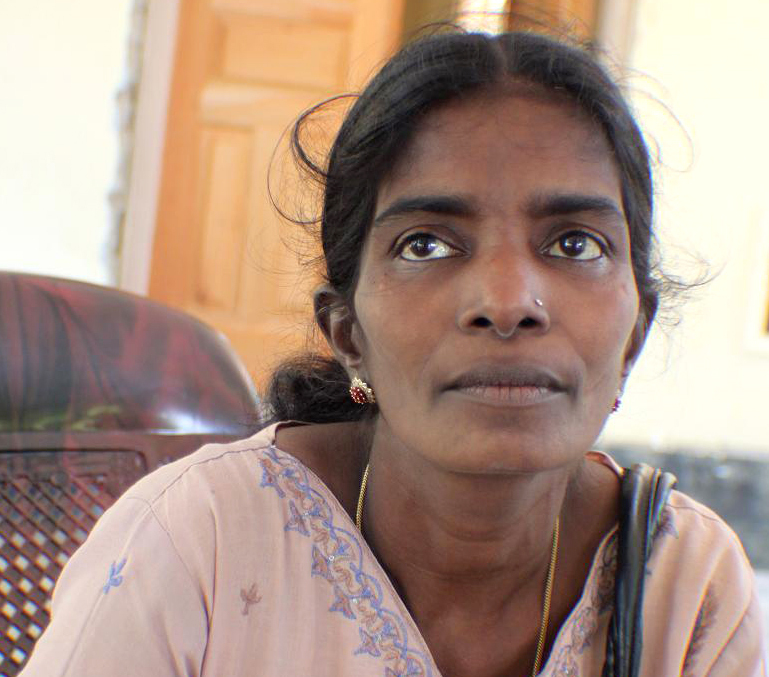 Vijayamoorthy Inbany, 40, lost her husband due to shelling in February 2009 in the northern district of Mullaitivu in the final months of fighting between the separatist group, Liberation Tigers of Tamil Eelam (LTTE), and the government. Even convincing people that women need special attention after a conflict has been hard for her organization, she added. A recent World Food Programme food security assessment of internally displaced persons (IDPs) living with host families in the northern Jaffna District showed most of them depended on food rations. The total IDP population in host families is almost 15,000 people; some 16 percent of the households are female-headed and 9 percent are widowed, according to local government officials. The government has vowed to resettle all IDPs – now numbering fewer than 19,000 by its late October count – by the end of 2010. More than 280,000 people fled fighting between government and LTTE forces who had been fighting for an independent Tamil homeland for almost three decades. The conflict was declared officially over on 18 May 2009.